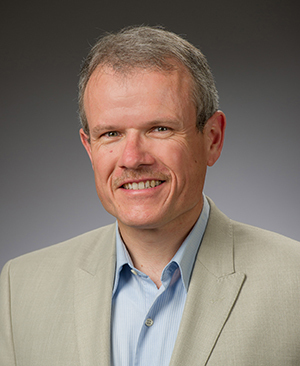 University of Notre Dame Professor Alexander Martin has been awarded the 2013 Marc Raeff Book Prize for Enlightened Metropolis: Constructing Imperial Moscow, 1762 – 1855;. The annual prize, awarded by the Eighteenth-Century Russian Studies Association, honors the best book in any discipline or language on the history and culture of Russia during that time period. The late Marc Raeff, Martin said, was a Russian émigré and professor at Columbia University. At the height of the Cold War, Raeff played a key role in establishing the history of tsarist Russia as a field of study and research at American universities. 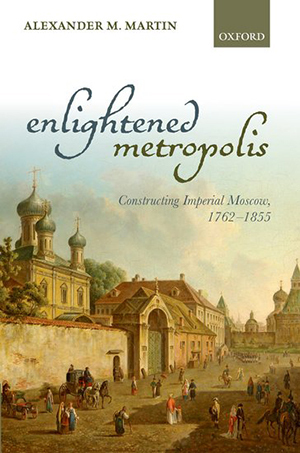 Enlightened Metropolis challenges the myth that Imperial Russia’s two capital cities, St. Petersburg and Moscow, had fundamentally different identities. The idea of 19th century Moscow as a backward, un-European, and quintessentially “Russian” city needs to be revised, he said, noting that the city had actually kept up with Europe until the early 1800s. But after Napoleon’s 1812 invasion of Russia and “disastrous” occupation of Moscow, Martin said, Russia failed to keep pace with the Industrial Revolution. Martin said research he conducted for his previous book, Romantics, Reformers, Reactionaries: Russian Conservative Thought and Politics in the Reign of Alexander I, helped spark the idea for Enlightened Metropolis. He read a number of memoirs, which he said offered fascinating glimpses into life in Moscow in the 18th and 19th centuries. Another inspiration for Enlightened Metropolis, Martin noted, was the ongoing discussion of American cities in the media and popular culture—from stories of declining cities in the 1970s and ’80s to a renaissance of sorts from the 1990s forward. While Enlightened Metropolis is being translated for publication in Russia, Martin is turning his attention to rebels and revolution. This fall, he is teaching a seminar on rebels in tsarist Russia, as well as a course called Europe in the Age of Revolution and Nationalism: 1789–1871, which examines the political, social, and cultural transformations that gave rise to modern Europe. Originally published by Mike Danahey at al.nd.edu on December 23, 2014.